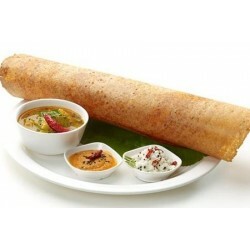 Masala dosa is very testy and delicious serve by well known shop in jaipur . fresh and hot masala dosa deliver Across Jaipur. GiftJaipur is pioneer in delivery services across Jaipur. This delicious Dosa can be delivered across Jaipur except outer areas. Please refer delivery area sheet for your reference.